When warning labels were tame. 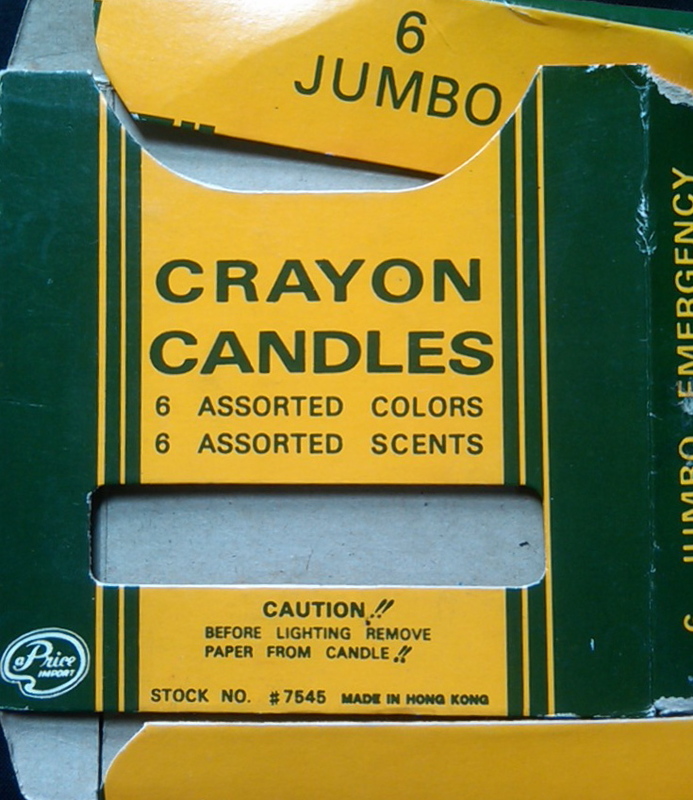 I remember these candles looked an awful lot like Crayola® Crayons, which gives you an indication of how long I’ve kept this packaging. I was a heavy user at one time…of crayons and candles. Guess I was also into brands and trademark protection since before I knew it. I always meant to send this box to Binney & Smith to see what their legal counsel would have to say of the trade dress. Like I said, I meant to. Warning labels these days usually defy common sense.